At Your DIY Shop we stock a large range of Water Troughs, Drinkers and Drinking Bowls for Equestrian, Farm and Small Animal uses, why not check out our website, our prices are always cheaper than Amazon or eBay. Give us a call too! The Kingspan Titan range are suitable for use outdoors and are constructed from tough PVC, the Black moulded Water Troughs are UV resistant and are guaranteed to last for years, they come with a warranty and this should be registered with Kingspan upon receipt of your Water Trough. 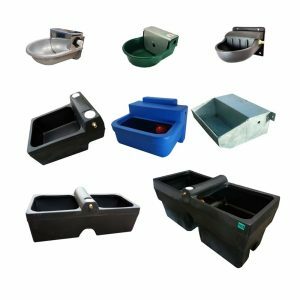 Troughs should be installed on a flat and horizontal surface not only to allow the water level to remain constant but also to allow the high quality ball valve to work correctly.